Struggling to earn that signing bonus? Credit card companies make you work for your points. Once in a while, you’ll come across a card that issues a signup bonus after your first purchase. Unfortunately, that’s rare, especially for big bonus cards. If you want your points, you usually have to spend a certain amount of money within a certain amount of time. The timeframe is often three months (although it can be more), and the spending requirement generally ranges from $500 to $5,000. Depending on the bonus requirements, hitting that minimum can be a challenge. Frugal spenders may have difficulty charging a few thousand bucks in the allotted amount of time. We’ll talk you through a few ways you might reach your spending minimum before the offer expires. But remember, it’s senseless to spend a bunch of extra money just to get the bonus. The goal, after all, is to make a profit. Here are a few ways you might meet your requirement without unnecessary expenditures. Ideally, you’ll be able to meet your spending minimum without having to get too inventive. Amassing the required charges will hopefully be a simple matter of transferring your daily transactions. 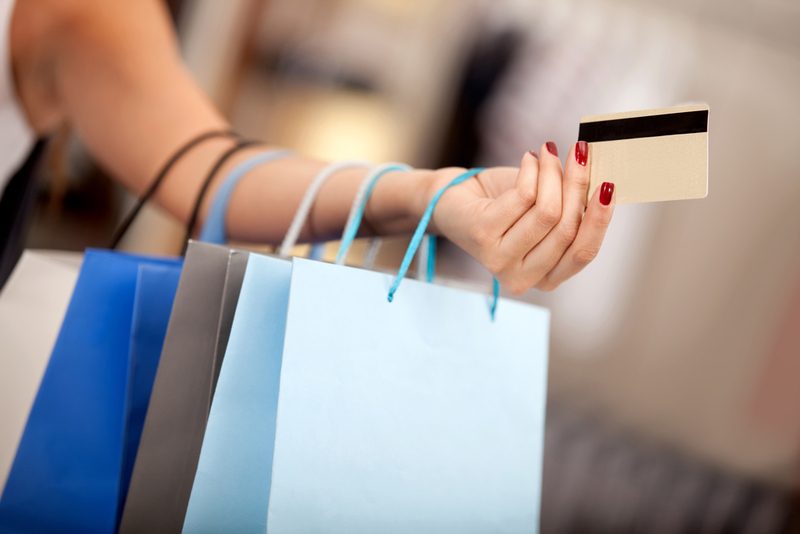 Here are some common day-to-day expenditures you should be sure to put on your new card. 1. Gas and groceries: Start by getting into the habit of using your new card for everything. Gas and groceries are an easy way to start. If you’re getting the Chase Freedom®, that might be all it takes to meet your minimum, since the bonus is: Earn a $150 Bonus after you spend $500 on purchases in your first 3 months from account opening. However, this can get tricky if you already have an awesome gas-and-grocery rewards card. The Blue Cash Preferred® Card from American Express, for example, earns 6% rewards at U.S. supermarkets (up to $6,000 spent per year) and 3% at U.S. gas stations. You might not want to give that up. You’ll have to determine whether you can meet your minimum through other purchases or if you’ll have to surrender the high rewards rate until you earn the bonus. 2. Recurring bills: Transferring your bills to the new card can help tremendously. Use the card to pay utilities, cell phone bills, cable and internet. It’s usually pretty simple to switch your billing information. A lot of times it can be done in a few minutes online. And remember, the switch doesn’t have to be permanent. You can easily change back once you’ve earned the signup bonus. You might even be able to talk to your landlord about paying rent with a credit card. You may be required to pay a small fee, but if it makes the difference between receiving the bonus, you might want to consider the option. 3. Charge everything: All rewards enthusiasts know that if debt isn’t a problem, you should use credit cards whenever possible. The small transactions add up. A couple bucks for coffee here, a few dollars for parking there — charge it all. Not only will you be a step closer to earning your bonus, but you may also earn rewards on those transactions. 4. Gift cards: Buying gift cards is a great way to increase your credit card charges. The trick is buying them at places where you shop regularly. If you frequent a specific gas station or grocery store, you know you’ll use the card eventually. As long as you spend that money at some point, it’s essentially an investment and can bump up your charges a few hundred dollars. If recurring bills and day-to-day purchases aren’t cutting it, there are a few tricks you can use to artificially increase your credit card charges. Again, we don’t promote spending unnecessary cash to reach your minimum, but we can show you a few cost-effective techniques to boost spending. 5. Prepaid cards: Similar to the gift card method, you can use your credit card to load money onto a prepaid debit card. This has both advantages and disadvantages. It may be more appealing than the gift card option because you can use your prepaid card virtually anywhere. Certain cards like the American Express Bluebird may even allow you to use your balance to send a check to your landlord. To make this work, you’ll want to purchase Vanilla Reload Cards with your credit card. Use these to add money to your Bluebird account. Unfortunately, prepaid cards tend to come with fees. The Bluebird, which is one of the best prepaid cards out there, has a $5 activation fee if you buy in-store, plus potential ATM fees if you don’t use direct deposit.. We suggest going the prepaid route only if you have no other viable options. 6. Amazon payments – Amazon.com allows you to transfer money to a person for “goods and services.” You can transfer up to $1,000 per month without incurring a service fee. If you have a trusted friend or family member, you can send them money with your credit card. The transfer will count toward your spending minimum. You can then have your partner repay you with cash, check or another form of electronic transfer. 7. Tuition, taxes and medical expenses – Get creative! Use your credit card for anything you can. Tuition, taxes and medical expenses can usually be paid partially or in full with a credit card – but many places will charge you a fee for doing so. This isn’t a great way to meet the bulk of your spending requirements, but it’s a decent option if you’re just shy of the threshold.